No matter what you think of Jim Press personally, there are few if any executives who know more about importing and selling Asian brands in America. And regardless of what you think about Nissan North America, there can be no doubt that it lost a lot of effectiveness by moving the entire organization to Nashville. Nissan may have saved money, but in the process it lost a lot of talent and institutional knowledge. Going back to the Datsun brand, which became Nissan, the company had a lot of loyalty in Southern California. But when the entire operation moved into the handsome headquarters in Franklin, Tenn., it lost much of its history. Now Nissan is trying to re-establish its corporate roots in the United States. Luckily, Nissan has a strong dealer body that just needs better leadership. Press can supply that leadership. For the Japanese, it is an honor to be put out to semiretirement with little or nothing to do that isn't just symbolic. For an American, particularly one who was a war horse for 40 years, it's a great way to go bonkers. 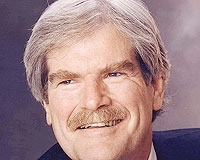 Jim Press toiled for decades at Toyota. He knows distribution, and he knows dealers. He knows how to sell cars. It was smart of Nissan to grab him and see whether his talents could be used at Nissan. Only time will tell. All too often, folks in the automobile business figure that talent is completely transferable. That's not the case. There is an old saying in the business that you act globally and sell locally. Manufacturing and engineering can be done on a global basis, but talent in product planning, sales and marketing doesn't automatically transfer from one country to another. You need the experience that only time in a market can supply. Nissan Motor Co. CEO Carlos Ghosn can call on his many years at Michelin in the United States to understand the subtleties of the American market. If he had spent all his time in France or Brazil, he wouldn't have understood this market. To maximize results, it's important to rely on local experts and delegate authority to them whenever possible. There have been too many examples of the American going to Europe and thinking he knows everything or the European going to South America and not having a clue about the way one sells a car there. Jim Press has decades of knowledge about the Japanese manufacturer and the American market. It will be interesting to see whether the folks at Nissan can accept an outsider and listen to what he says.